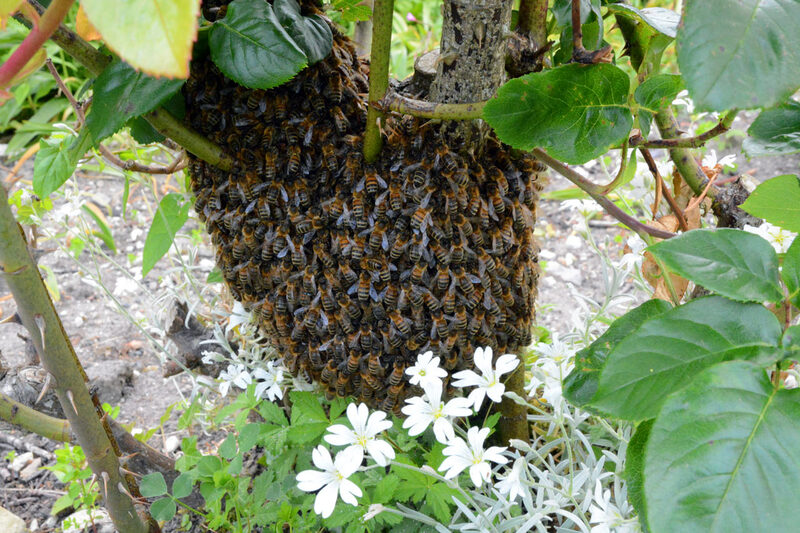 Swarm of bees in the garden! Now I have to say, I didn’t spend an awful lot time counting the bees! Erm, I didn’t want to disturb them! But there must have been a 400-500 of them, huddled together around a queen bee on the trunk of an old rose bush in our garden. It was all very quiet and peaceful, and as a group they were almost pulsing – beating like a huge heart – swaying gently together with no fuss at all. No buzzing of bees flying about the place, just a single mass of hundreds of insects working together as a huge swarm. How cool is that! 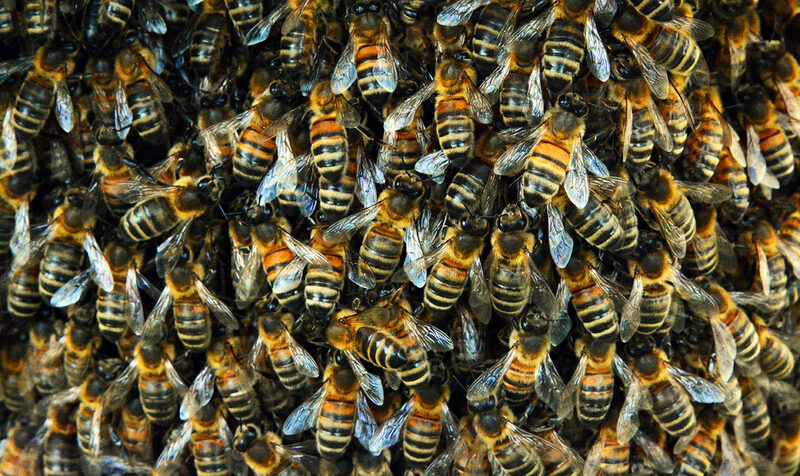 When a honey bee swarm emerges from a hive they don’t fly far at first. They gather in a tree or on a branch near the original hive (probably the one in our garden wall from last year). They cluster about the queen and send 20 – 50 scout bees out to find suitable new nest locations, and when they find one, the swarm moves off. How cool is that! 30 Days Wild is an opportunity to make room for nature this June – no matter where you are or how busy your life is! Make this the month when you do something wild every day. When you sign up to the challenge, The Wildlife Trusts will even send you a pack full of encouragement, ideas and ‘Random Acts of Wildness’!